A house fire in the area of 70th terrace and Hedges Thursday evening has left a local woman hospitalized in critical condition and cost the lives of her pets. 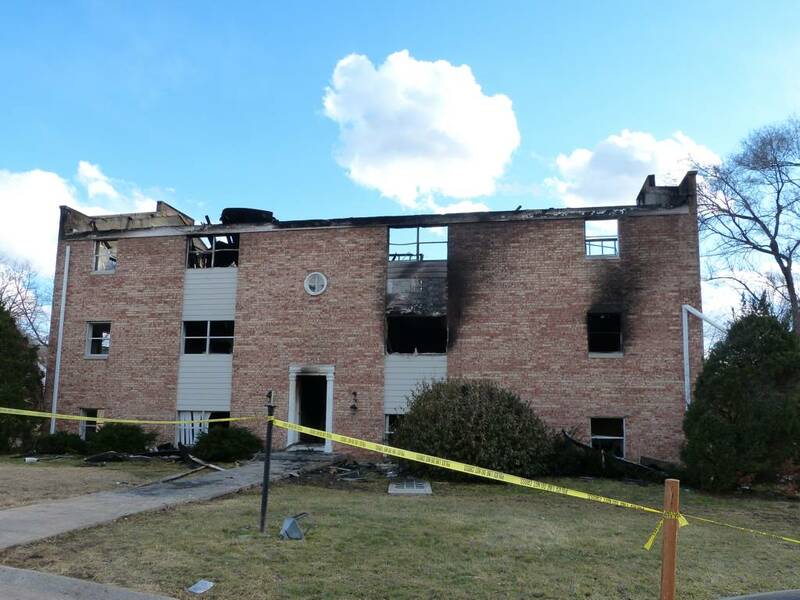 An early-morning fire in an apartment building on 60th Street west of Raytown Road took the life of 5-year-old Jeremiah Roberts and left his grandmother Sharon Roberts and his 18-month-old brother Jabin in critical condition. It was reported by his Uncle Grady Lauderdale that Sharon Roberts has suffered burns over 70% of her body. Jamie’s six-year-old brother Jacob escaped serious injury by crawling out a back door to safety after trying to help his little brothers. His uncle credits Jacob’s fire safety lessons in school with giving him the knowledge needed to survive. Jeremiah was the son of Jacob and Kindra Roberts. A GoFundMe account has been set up to assist the family with expenses. 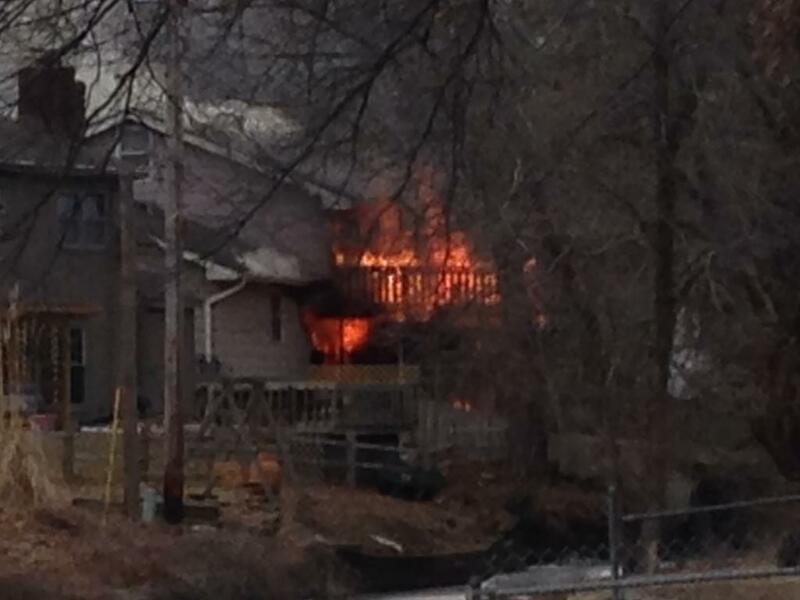 The FBI is sending a fire investigator to help determine the cause of the fire. The Red Cross is providing assistance for the families displaced by the blaze. A GoFundMe account has been set up to help with funeral expenses for Jeremiah Roberts, you can click HERE to go to the website. A GoFundMe account has been set up to assist the victims of the fire, you can click HERE to go to the website. 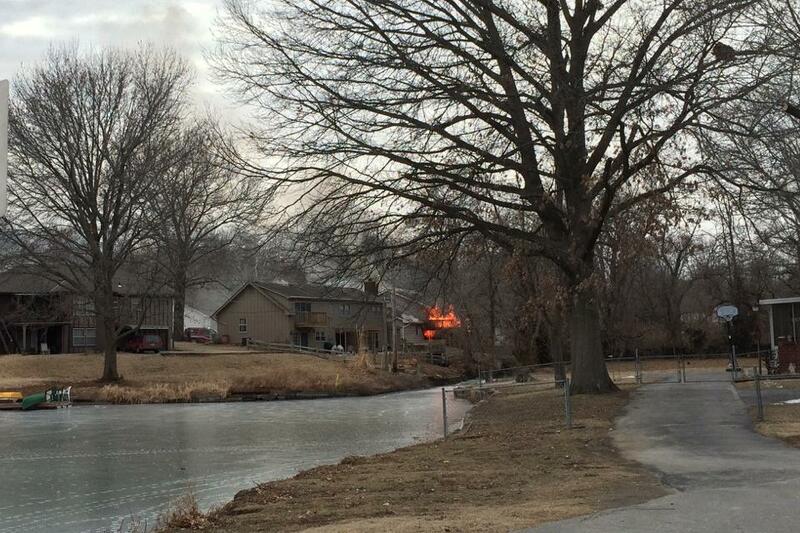 Fire broke out at a home on Lakeshore Drive at about 4:30 pm, just South of 67th Street. The cause is not known at this time. 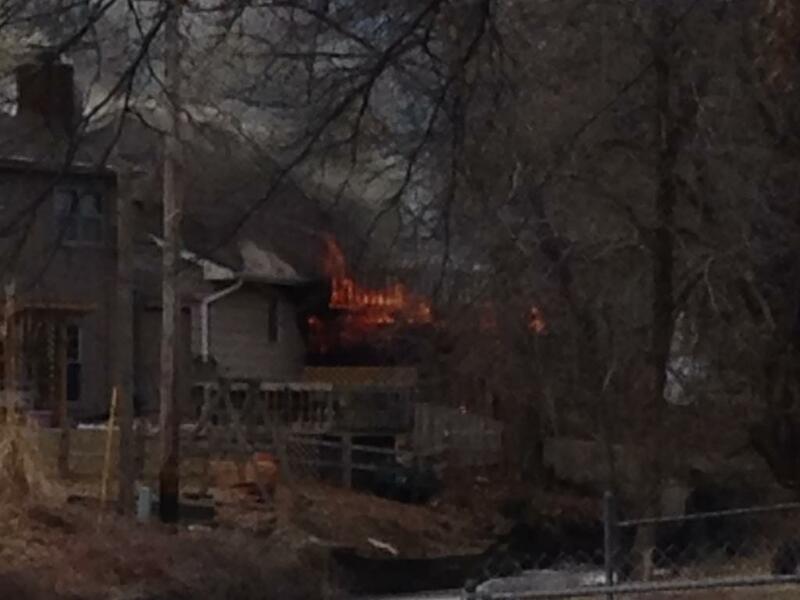 Photos from roving reporters Joyce Downing and Jennifer Mitchell, taken after they called 911. The election for The Raytown Fire District board seat is now no contest. Incumbant Willard Ross has decided not to run for re-election. That leaves candidate Richard Tush with a sure win. A fire broke out just before 1:00 pm today in a restroom at Raytown Senior High School. The students were evacuated and the school day ended early. At present there are conflicting reports on whether it was in one or two restrooms. There are no reports yet of any injuries. 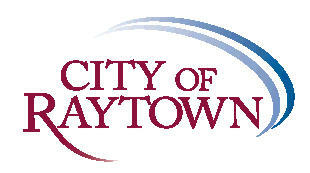 I have lived in Raytown all my life, I worked here as a firefighter/EMT for 20 plus years. I am retired now and I am very upset with what has happened to the fire service and what they are doing to the citizens of this community. We the citizens pay our fire taxes to the county for fire protection for Raytown and yet they are running calls for Kansas City fire. I ran into some of the guys the other day and found out our firefighters are running calls clear down into the plaza! I was shocked to hear they run calls for KC. all over the metro area, leaving our town unprotected. So if our guys are in KC and we need a ALS “advance life support” pumper to run a heart attack call we the citizens don’t have it! and now we have to wait for a BLS “basic life support” pumper to come from KC to help our ambulance service. This is crazy! whose brilliant idea was that? must have come from the fire board because the men aren’t happy about it! also I found out that the board has asked the men to take a 5% pay cut to keep their jobs, ok where has all the money gone too? I guess the fire board has spent it foolishly. Like when they asked us the citizens for more money to remodel the stations and instead of remodeling they knocked them down to build new ones. that is not what they were asking the money for. Now because of the larger call volume the guys are running for KC fire we the tax payers are paying for more fuel for the trucks and maintenance. KC fire isn’t. so is this the reason the men who don’t get paid that well, had to take a pay cut? I feel we need to get a new fire board whose interest is in what’s best for the citizens. thank goodness the city still has the ambulance service! we may lose our house from a fire but at least we still have the best ambulance service around. The family dog alerted his family to a fire just after 2:00 am Sunday morning in the 6700 block of Ralston. The family was able to escape to the roof and then with the help of a neighbor’s ladder made it to safety. unfortunately the family dog was not able to escape the blaze. The cause of the fire is suspected to be a fireplace in the living room. 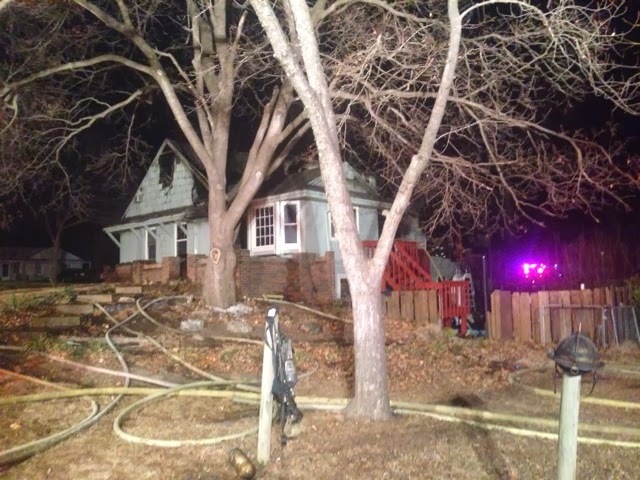 A mother and her 13 year old daughter escaped injury at 2:16 this morning after the family dog awakened them to smoke and fire in their house. The residents escaped out a second floor window due to the heavy smoke and fire blocking the stairway. A neighbor awoken by their yells for help assisted them off the roof with a ladder before fire units arrived. Upon arrival crews reported heavy fire and smoke showing and all occupants were out of the structure. The high winds complicated the extinguishment of the fire and at one point forced firefighters to withdrawal from the house and use aerial apparatus to knock down the fire from the exterior. It is believed that the fire originated around the area of the living room fireplace and spread throughout to the interior. The family did have working smoke alarms. The family dog which alerted them was not able to escape and perished in the fire. The American Red Cross assisted the family with housing, food, and counseling information. 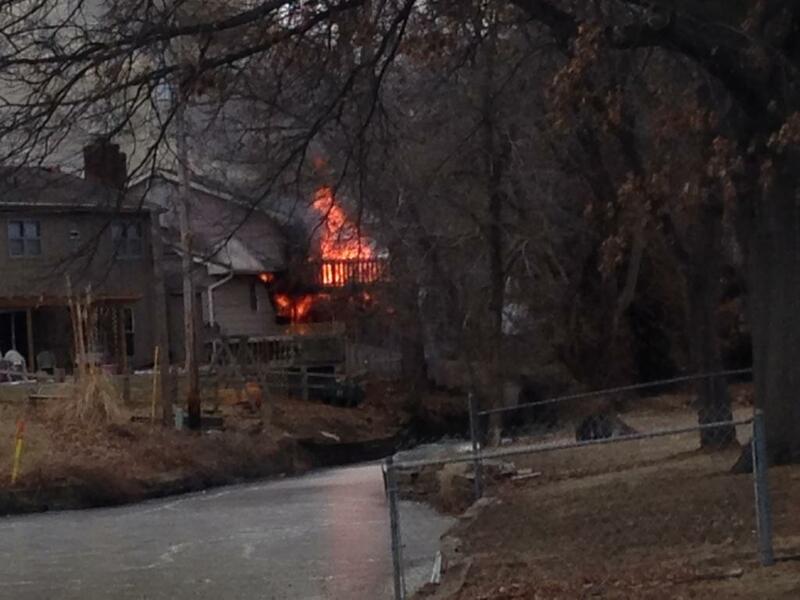 For more on this click HERE to read a Kansas City Star article on the fire. Dayvion Cook saved his family and pets from a house fire before going off to school at Raytown South on Monday. A fire started in the garage of Dayvion’s family home on East 79th Steet close to Blue Ridge Blvd. at about 1 am. Dayvion made a quick attempt to put out the fire, but soon realized he needed to abandon the effort and get his family and pets to safety. RaytownOnline.com thanks Fox4 for providing the code to embed this video of their report. The City and the Fire District on the EMS takeover proposal. Recently the Raytown Fire Protection District submitted a proposal to take over the City of Raytown’s EMS service (ambulance). The City declined the proposal. Below is the letter Mayor Bower sent to the Fire District and the responding letter from the present Fire Marshal Mace. I have also added the Mayor’s response to Fire Marshal Mace’s response. The timing was close enough that it makes sense to add it to this article. I have reviewed the proposal, which was well presented and offered by the Fire District, to merge the City’s EMS with the Fire District. And, it is my opinion, like that of the Board of Alderman’s Committee members, the potential advantage to the City (the Citizens) this proposal offers, along with the consequent discussions and correspondence, is not great enough to put into effect the merger. On behalf of the BOA, I appreciate the proposal being made and the hard work that went into the preparation of such. Like the Fire District, this Administration, and the City’s EMS, is committed to provide the Citizens of Raytown the best service possible and will continue to do such. In the event the Fire District wishes to offer another proposal, at some point in the future, I assure you the proposal will be given the attention warranted. 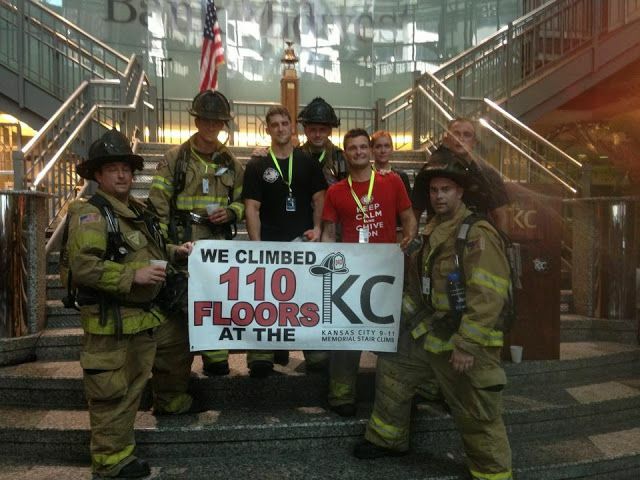 On behalf of the Raytown Fire Protection District I thank you for the time and effort the City has put forth. While we are confident that the $300,000 of annual projected savings to the citizens of Raytown more than justified further exploration of this merger, we respect and stand by both you and Alderman Melson’s decision. We are aware that Raytown EMS has been able to find savings during the 2014 budget process and I applaud their efforts for doing so. The fact of the matter is sir, unless you can operate your department with six fewer employees, the fire district’s proposal will always be $300,000.00 cheaper. It is a simple mathematical equation; each employee has an average total cost of employment of $50,000 and $50,000 X 6 employees = $300,000. If you combine this number with the recent reductions Director Jonesi has implemented we believe the actual reduction to the taxpayers of Raytown to be close to half a million dollars a year. For the Fire District this proposal was a zero sum gain to our budget, meaning we only planned to bill the city for our actual audited costs. So this would have been truly a net gain for our community. Albert Einstein was once quoted as saying ” Insanity: doing the same thing over and over again and expecting different results.” While the Raytown Fire Protection District’s door will always remain open to further discussion, we do not see a value in pursuing a new Raytown Fire proposal. 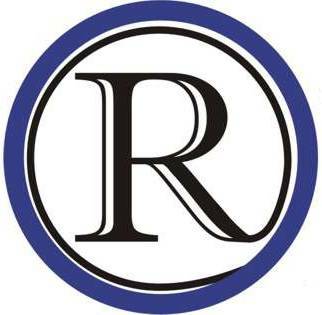 It is apparent the submitted proposal was lacking items the City of Raytown was obviously expecting, if the City wishes to explore this at a future date we believe the City of Raytown should develop the proposal to include the items we were lacking and submit it to the Fire District for review. It is not my desire to continue to debate the merits of the proposed merger through the media, as has been occurring, nor do I wish to make this decision a ‘political’ event. We had a respectable conversation, you and I and Mike Hunley, and I explained to you that I would review the financial side of things myself and respond to you when I had completed such. This review has been completed, and I agree with the ‘Committee’ on their decision. You quoted Albert Einstein as saying ” Insanity: doing the same thing over and over again and expecting different results.” This Administration has diligently worked to ‘streamline’ the city government, to make decisions based upon good business reasoning, and not what is perhaps politically desired and many changes have occurred for the betterment of the citizens. We have reduced the City’s Budget, without a reduction of staff in any of our departments to make the budget work, and we have improved the services provided our citizens by making good sound logical decisions. Further, the ‘business practice’ the EMS has undertaken, under the watchful eye of the City Administer, and the Board of Alderman, has in fact changed and for the betterment of the citizens of Raytown. We have the same practice in mind as does the Fire District, provide the citizens of Raytown with the service they deserve, as efficiently as possible, and do so by making sound business decisions. Finally, I again express my appreciation for the proposal. It was well prepared and presented, but after talking with the Committee Chairman, the Committee members, the Senior Staff, and through my own analysis, it did not make good business sense for the City. On August 27, 2013 Fire Chief Rick Mawhirter announced his intent to retire effective December 31, 2013. The Board of Directors of the Raytown Fire Protection District is proud to announce that Fire Marshal, Matt Mace EMT-P, has been selected as the Interim Fire Chief for the Raytown Fire Protection District effective January 1, 2014. This will give Chief Mace the opportunity to work daily, one on one, with Chief Mawhirter until his retirement. Mace became a paramedic in 1995 and started working for Raytown EMS in 1996. He came to the District as a Firefighter/Paramedic in 1999 and became the Fire Marshal in 2007. His experience working with City Hall, the Raytown Chamber, the Water Districts, local businesses and our citizens should prove to be beneficial to him in his new position. He has demonstrated the ability to go above and beyond what is asked of him and is always willing to do whatever he can to better the Department. Mace, his wife Rachelle and their two children are proud to be residents of Raytown and have been very involved in the community. The Board of Directors looks forward to a smooth transition after Chief Mawhirter’s retirement and is confident that Chief Mace will provide just that. Raytown Fire District response to the letter of declination. District regarding the details of the proposal. have a substantive discussion regarding this issue. which was presented to the City of Raytown in May of 2013 are attached after this statement. On behalf of the EMS/FIRE Merger Discussion Committee, I would like to notify you that the committee has decided that the proposed EMS/FIRE merger is not advantageous to the City of Raytown and its citizens at this time. I want to thank the Raytown Fire Protection District for their work on the EMS/FIRE merger proposal and the opportunity to discuss this issue in 2013. Pictured from left to right : Darren Summers, Tyler Turner, David Andrews, Nathan Davis, Andrew Phelps, Sarah Richardson, Phillip Giegerich, and Josh Hargis. 63rd Street was closed from Raytown Road/Trafficway to just East of Elm today from about noon till 2:00 am. 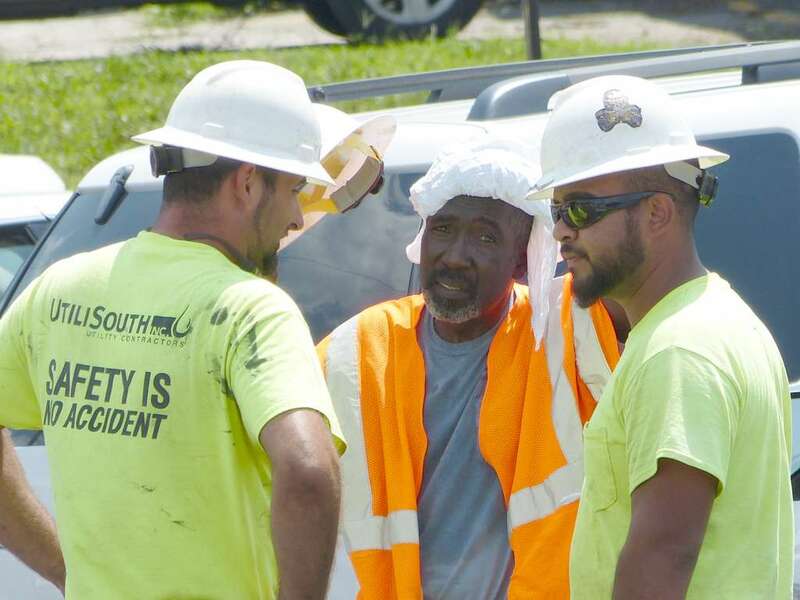 The subcontractor installing Google Fiber on the South side of 63rd Street cut a 4 inch gas line. 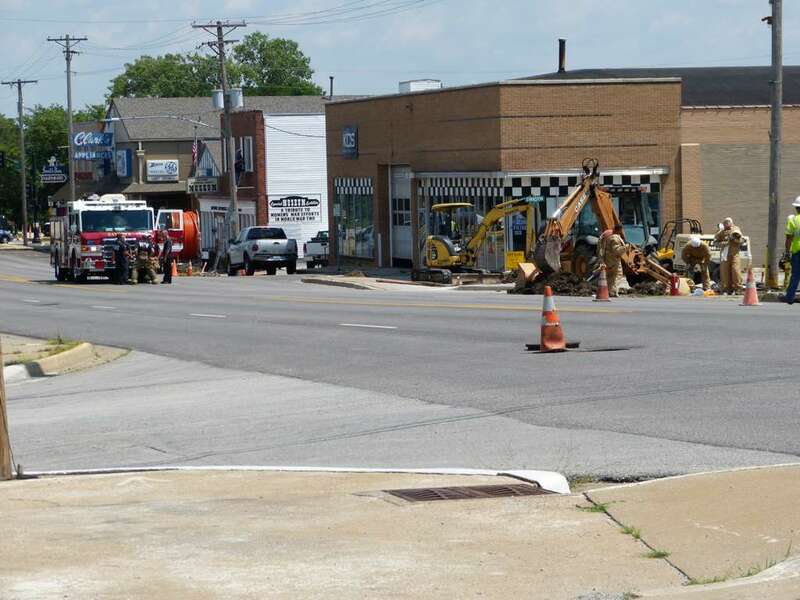 A 4 inch gas line can carry 100 to 150 times the natural gas of the 1/2 inch line that was cut about a week ago North of Sonic on Raytown Road, making this a serious danger to the community. The Raytown Board of Aldermen committee consisting of Charlotte Melson, Steve Mock, Jason Greene and Michael Lightfoot meet to publicly discuss a proposal by the Raytown Fire District to take over the City of Raytown’s Emergency Medical Service. Raytown Fire District is now using Kansas City Fire Department dispatching service. There is a proposal by the Raytown Fire District to take over Raytown’s EMS (ambulance) service. Readers have expressed concerns that if Raytown’s EMS service is combined, it also be automatic-assistance and result in a lower quality of service for Raytown residents. RaytownOnline.com ask three questions about the level of service KCMO Fire Department is now providing. What follows is the response to those questions. 1. What percentage of ambulance responses are ALS and what are BLS? Because ALS/BLS responses are determined by the care provided and not by the original determinant designated by Emergency Medical – Dispatch, (EM-D), which is the system triage protocol, to answer to this question it is necessary to review patient care reports and tally the type of care provided which will require resources and staff time. However, the following information may suffice. Yesterday was a typical day. We ran 225 EMS calls for service. 68 of those calls were determined to be “Life-Threatening” calls, 157 were determined to be “Non-Life-Threatening”. KCFD responded to 100% of those 225 calls with an ALS ambulance. 2.What percentage of ambulances are staff with at least 1 EMT-P personnel? The number of KCFD personnel trained to the EMT-Ps level is approximately 170. On June 3rd, the Raytown Fire Protection District switched from using the dispatching services of the Raytown Police Department to using the services of the Kansas City Fire Department. RaytownOnline.com has published two articles on this matter in the past (http://raytownonline.com/2013/raytown-fire-protection-district-changes-dispatching-service/ & http://raytownonline.com/2013/raytown-fire-board-meeting/) The first was essentially a press release from the Fire District and the second was a video of a Fire Board meeting. 1. Money, Kansas City is providing dispatch for free and the Fire District was paying $55,000 a year for Raytown Police dispatch services. 2. Lowering our rating with the insurance companies (lower is better). 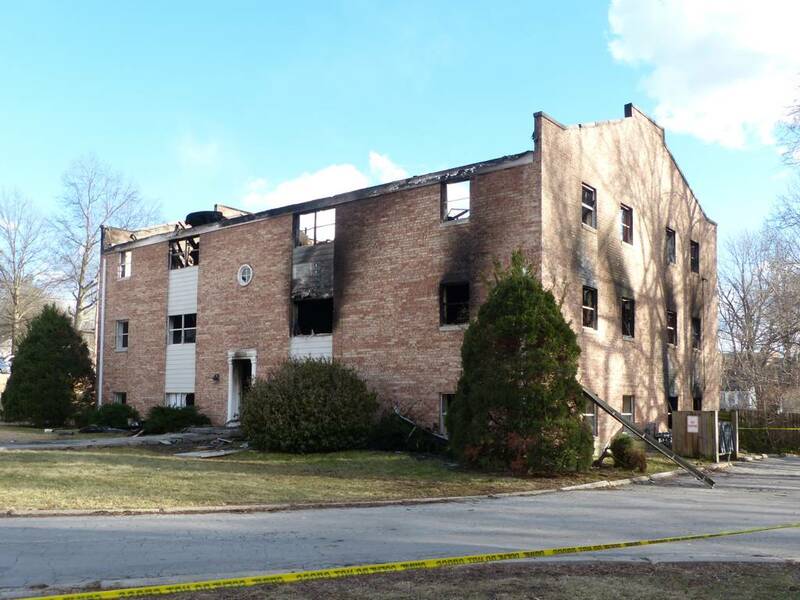 ISO (Insurance Services Office) gives fire protection districts a rating of 1 to 10. Raytown’s Fire District is rated at a 4. This rating is use to formulate a PPC (Public Protection Classification) and the PPC if used to calculate rate insurance companies charge. ISO states that the average loss per $1,000 of insured property is twice as much for the worst rated communities as it is for the best rated communities. Click HERE to see the ISO manual and pay attention to page 4 that graphs out the differences. 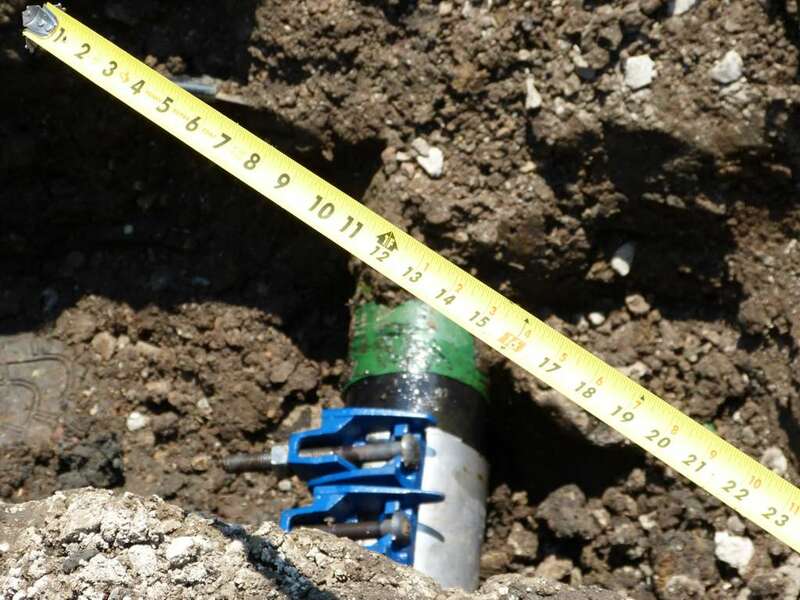 ISO ratings are dependent on 3 criteria: equipment and men, water supply, and dispatching quality. According the the Fire Chief, Raytown has seen improvement in the first two areas since the previous rating by ISO in 1998, but lack of improvement in the 3rd area (dispatching) resulted in no improvement in Raytown’s rating of a 4. Kansas City is mostly rated 2 or 3 depending on the area of the city (with some isolated areas rated as high as 9) and the area around Raytown is mostly a 3 rating. There is a possibility that by using KCFD dispatch Raytown property owners could see their insurance rates drop a small amount when ISO gets around to re-evaluating Raytown’s rating (the last time span was about 14 years) and if the property owners insurance company uses the ISO ratings (State Farm and many other major companies are using in-house ratings and no longer using ISO, according to a local insurance agent). As part of moving dispatching from Raytown PD to KCFD, Raytown has gone from a mutual aid status to an automatic aid status. 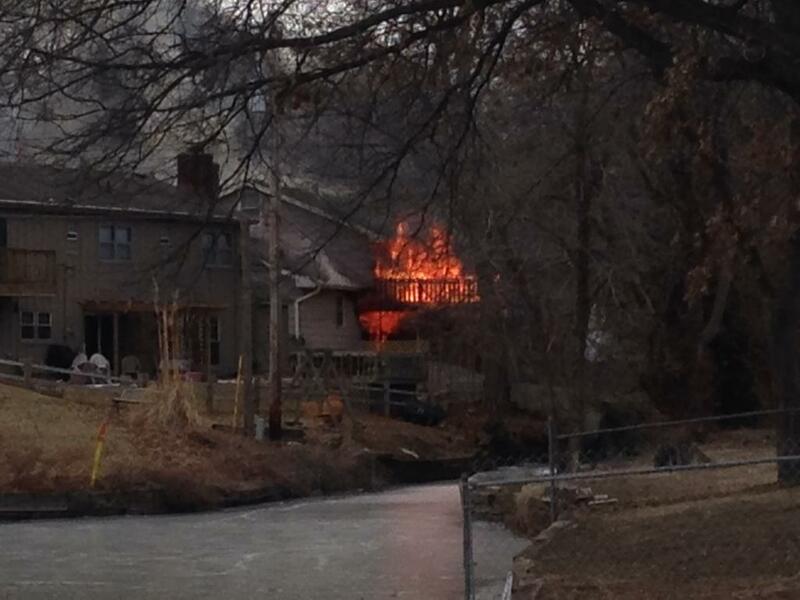 Mutual aid means Raytown will help Kansas City in response to a requested need. Automatic aid and unified dispatch means that the KCFD dispatchers make the decisions about which units respond to which call automatically. The first month of the switch resulted in a much larger percentage of Raytown FD responding to calls in Kansas City than Kansas City FD responding to calls in Raytown. Since then, according to the Raytown FD, Raytown FD is still responding to Kansas City calls at a higher rate than Kansas City FD is responding to Raytown calls, but the disparity is smaller. How does dispatching actually work for Raytown now? 911 calls go to a MARC (Mid-America Regional Council) center where they are routed to the appropriate agency automatically. For a land line, the address is used and for a cell phone, the three closest towers are used to determine location. Fire, ambulance, and police all are reached by calling 911. 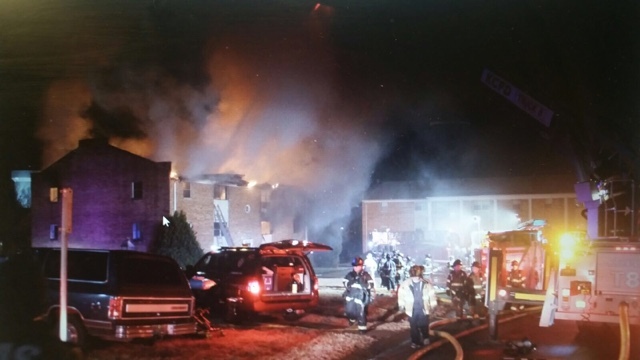 When someone calls in a fire in Raytown, the MARC system routes the call to the Raytown Police dispatcher, who then routes it to the KCFD dispatcher. With the new Raytown Police communication equipment, this may be automated to a push of a button to transfer calls to the Kansas City Fire Dept. once the nature of the call has been determined. The recent proposal by the Raytown Fire District to take over EMS (ambulance) service in Raytown makes this issue even more complex. (click HERE for a RaytownOnline.com article on this proposal) I have been advised by Chief Mawhirter that EMS would not have to be on automatic-aid, and could remain on a mutual-aid basis. Kansas City FD is already being criticised for failing to meet a required 90% in 9 minutes response time for ambulance service. (Click HERE for an article on this in the North East News on this) Raytown currently opperates with a average response time of under 5 minutes and requires a report if the response takes 6 minutes, according to the EMS Director Doug Jonesi. Questions remain about how this change could be smoothly implemented. Would EMS dispatch remain with the Raytown Police, or would Kansas City FD dispatch for both fire and EMS, and split the responses so that one is mutual-aid and the other is automatic-aid? There is a cost savings to the Raytown FD of $55,000 a year, but Raytown Police actually still have to field the calls due to the way 911 calls are routed, they just do not get paid for it anymore. There eventually may be a small savings on property owners’ insurance rates, if they use an insurance company that still uses ISO for ratings and ISO takes less than 14 years to re-evaluate. However, based on the charts from ISO showing the difference in average loss between an area rated 3 and an area rated 4, the savings would be very small. Kansas City FD is much larger and by the nature of size and diversity of needs it must address, there are facilities, programs, and personel that Raytown could benefit from in both training and response, but do we have to be on automatic-aid status for this to happen? Kansas City has major problems with its ambulance response time. 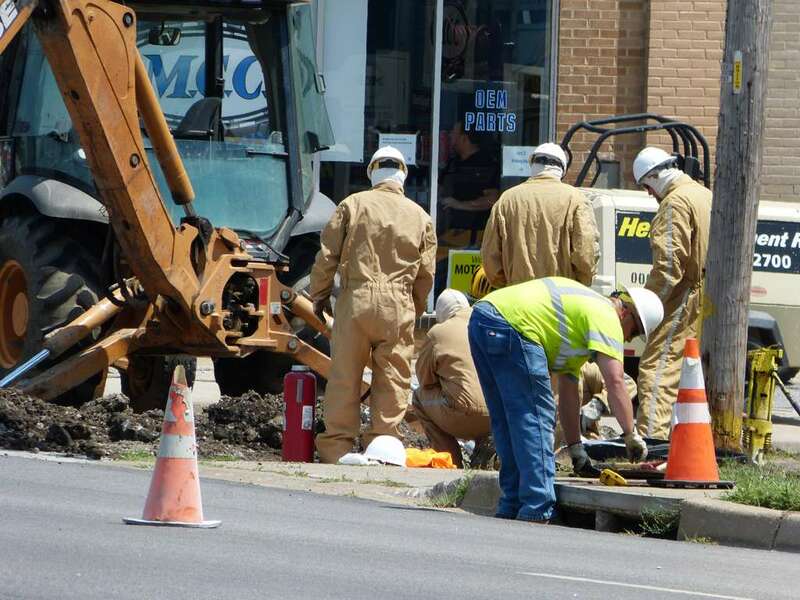 These problems are long-standing and probably will require equipment, personnel, and upgraded facilities to fix. Splitting the type of response in a combined Fire Department and Ambulance service with a central dispatch seems to add complications. The bottleneck is always going to be the Raytown Police Dispatch, given the way 911 calls are routed. There needs to be an evaluation of the Raytown Police Dispatch. If problems are identified with number of personnel, training, or equipment, then steps need to be taken to solve those problems.